Fingerspelling videos now available here! Right column at the bottom (scroll down). If you are absent please do them at home and turn them in when you return. (same policy for book work for units 13-17). Use 4th block to make up missed tests and quizzes. Bof DF CHapter 7 due Tuesday. Here is the vocab list for all units and all handouts. You will be able to communicate effectively in the target language in the present, past and future tense. 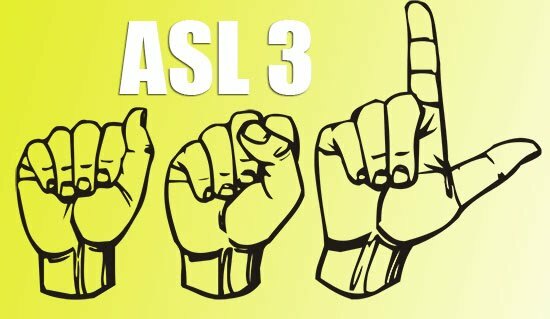 You will be able to receptively and expressively use classifiers in appropriate ASL grammar. You will watch, discuss and prepare a signed "essay" completely in ASL. You will improve your receptive skills through a variety of media such as internet signed videos, signed stories, etc. You will gloss, and sign a performance in ASL.